Senator John Eklund is currently serving his second term as State Senator for the 18th District, which is comprised of portions of Geauga and Lake Counties as well as all of Portage County. Eklund's long and noted legal career in Northeast Ohio has allowed him to cultivate a valued understanding of several issues that the General Assembly oversees. 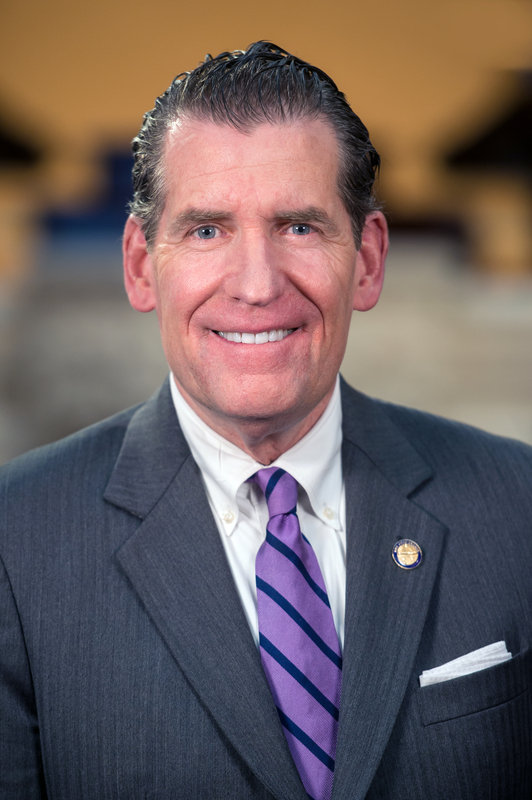 For the 132nd General Assembly, Senator Eklund has been tapped to serve as Chairman of the Senate Ways and Means Committee. In addition, Senator Eklund is a member of the Finance Committee, the Judiciary Committee, the Public Utilities Committee, the Rules and Reference Committee, and the Finance General Government Subcommittee. He has been appointed to the ABLE Account Program Advisory Board, which advises the State Treasurer’s Office in delivering an effective program to meet the needs of individuals with disabilities and their families throughout Ohio. He also serves on the Great Lakes Commission, the Interstate Compact on Juveniles, the Joint Committee on Gaming and Wagering, the Ohio Criminal Sentencing Commission, and the Attorney General’s Joint Study on Drug Use Prevention Education. When not tending to legislative duties in Columbus, Eklund is a Senior Counsel at Calfee, Halter & Griswold LLP where he has worked for more than 35 years. Throughout his legal career, much of his work has been centered on areas pertaining to anti-trust litigation, trade regulation, price fixing, class actions, and mergers and acquisitions. He is a graduate of Washington and Lee School of Law and holds a bachelor's degree from Union College. He has been named an Ohio Super Lawyer in antitrust litigation, is listed in Best Lawyers in America for Antitrust Law, and is recognized as one of America’s Leading Lawyers in Chambers USA. Senator Eklund is active in his community, having served on a number of boards and organizations, including the United Way Services of Geauga County Board of Trustees, the Munson Township Scholarship Committee, and the Geauga County Republican Party Executive Committee, the Munson Township Zoning Commission, the Chagrin River Land Conservancy Board of Trustees, the Cleveland Athletic Club Board of Trustees, and the Advisory Board of The Ohio District Court Review. Senator Eklund resides in Munson Township with his wife, Meg. They have two daughters, Jennifer and Amanda, and seven grandchildren.